My fav is Lion’s Brand thick and quick. 25% wool, and 75% acrylic. 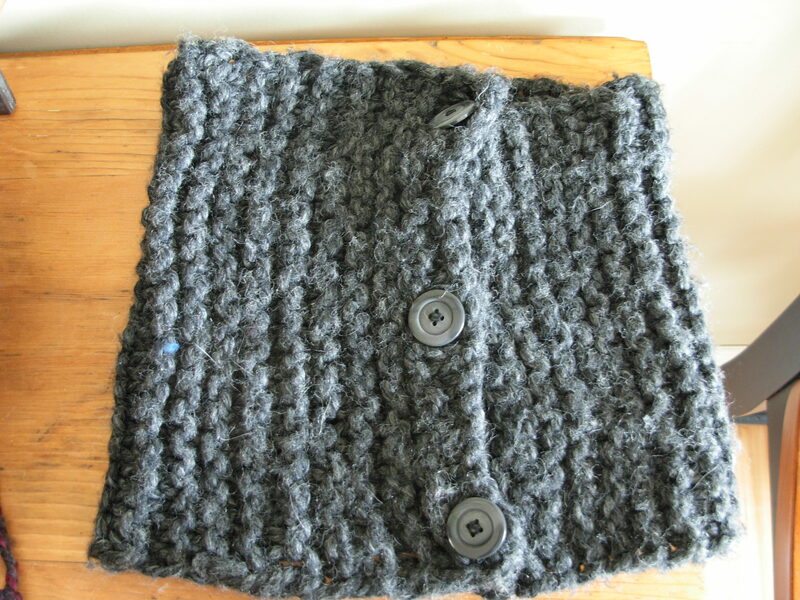 Knit until the neck warmer is 22-25 inches long. 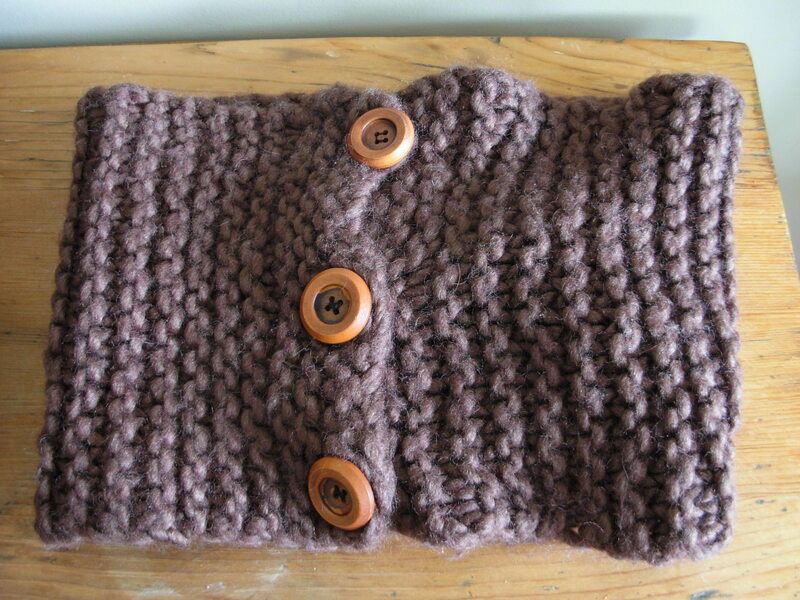 Cast off, and attach 3 large buttons. One doesn’t even need to make buttonholes! Such a great beginner’s project. Just knit. No tricks or fancy stitches. 18 stitches by 23 inches long. EASY! This one is a bit too deep.